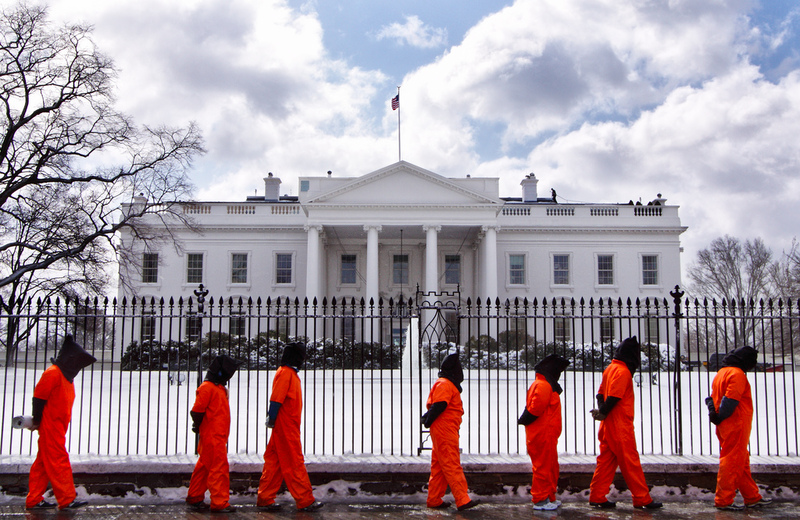 On January 11, human rights activists, torture survivors, Guantánamo attorneys, 9-11 family members, ex-military officials, and members of diverse faith communities in Washington, D.C. will gather at the White House at 11:30 AM to commemorate the 16th year anniversary of the opening of Guantanamo Bay prison in the War on Terror. The coalition demands that the U.S. government close Guantanamo Bay prison, end indefinite detention, stop torture, and immediately transfer cleared detainees. More than a decade after they were first captured, forty-one men are still detained at Guantanamo; they bear the physical and psychological scars of torture and abuse. Five of the people held there have been approved by the U.S. government for transfer out of Guantanamo, and the vast majority of the rest of the population has never been charged with or convicted of a crime. Yet they remain indefinitely detained with no end in sight. Together we will call for an end to these abuses and stand together to resist and dismantle institutionalized Islamophobia – a system of oppression that uniquely targets Muslims and which has made it possible for the prison to be in operation for more than a decade and a half, with numerous prisoners, all Muslims, being detained without trial. We will call for a just resolution for all those detained at Guantanamo and for the immediate transfer of the five detainees who have already been cleared to leave. Additional activities are being planned for the entire week by Witness Against Torture and other members of the coalition. Coalition members : Amnesty International, Center for Constitutional Rights, Close Guantanamo, CodePink, Council on American – Islamic Relations, Defending Rights and Dissent, Justice for Muslims Collective, National Religious Campaign Against Torture, No More Guantanamos, Reprieve, September 11th Families for a Peaceful Tomorrows, Torture Abolition and Survivors Support Coalition, Veterans For Peace, Voices for Creative Nonviolence, Witness Against Torture, World Can’t Wait.